Section 1 — What is Executive Coaching? Section 1—What is Executive Coaching? Executive coaching is a collaborative relationship between a suitably prepared coach and a client in a key managerial position within an organization. It is designed to facilitate greater vision and positive change in the client, and by extension in the organization, to increase satisfaction and effectiveness. An executive coach may be hired by the company or by the individual who works for the company. Goals are set by the client and the focus may vary considerably. An individual hiring a coach may desire to develop new skills, be a stronger leader, and navigate through the company culture to achieve certain goals, improve perception by others, or gain new skills as a leader. Executive coaches may also work with the executive client on more personal matters, such as work-life balance or stress reduction. When the company hires the coach, the individual may not have requested coaching as part of the action plan to enhance their performance; and the company may weigh in on coaching goals. Companies may also hire executive coaches to help them change workplace culture, enhance communication and trust, build engagement, reduce interpersonal or interdepartmental friction, increase creativity and innovation, and so on. Executive coaches may work with teams, helping them with organizational transitions or group cohesiveness, for example. Additionally, executive coaches may work with organizations in a wide array of industries to help roll out a new appraisal system, strategize for a new product launch or address a recent employee opinion survey. Preparing for a career as an executive coach means developing a substantial knowledge base in relevant areas, developing new skill sets, and learning new tools. This goes well beyond what is found in a traditional coach training program and so demands specialized education and training. To successfully coach executives, high level management, and corporate employees, a coach must have acquired an understanding of company culture, the unwritten “rules” of business, politics and posturing, leadership, assessment, decision-making, communication and more. An executive coach must also be able to accurately perceive people, practices, and situations and craft a solid, effective approach to help the client, whether individual or corporate, address their current realities and produce viable solutions. Executive coaches need to be familiar with the various types of performance gaps, people issues, and processes that are present within each company. All of this knowledge helps the coach resolve the correct problem, even if it is not the initially identified one, to help clients create better solutions and better outcomes. For the reasons discussed above, executive coaches around the world believe a credential from the International Coach Federation alone cannot identify who may be a competent executive coach. The MentorCoach Executive Coaching Certification program was developed to fill this need and prepare excellent coaches for this specialty. By becoming specifically credentialed in this field, an executive coach becomes sought‐after talent by companies and leaders, who know that such coaches possess the ability and knowledge to successfully address their needs; they come equipped with the knowledge, experience, training, tools, and competence. It also signals to clients and to the wider community that the executive coach has made a commitment to deliver the highest level of coaching and solutions. 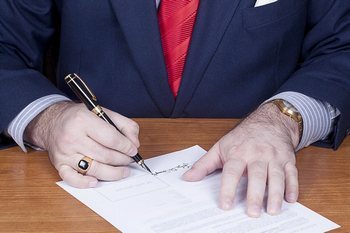 establishes a minimum standard for credentialing executive coaches. assures the public that participating executive coaches meet or exceed these minimum standards. builds a network of credentialed executive coaches across the globe for synergy and resources. meets the growing demand by clients to hire credentialed executive coaches that are professionally set apart from other coaches. There are three routes to become certified as an Executive Coach. Demonstrate that you have completed at least 40 hours of coaching focused on such executive coaching issues as assessment utilization to enhance communication, positively leverage conflict, or increase team engagement; helping the executive or leader to create a strategic business plan; addressing and resolving intact work team issues (such as lack of trust, poor performance, or interpersonal skills); or assisting with the development of effective leadership skills. Successfully pass your (pass-only) interim exam as well as the final written exam and oral coaching exam. The oral exam will be on an executive coaching topic. Please note that upon receiving your CMC (Certified MentorCoach) and meeting the requirements above, you are immediately eligible to receive your Executive Coach Certification and your ICF Certification as well. The MentorCoach Executive Coaching Master Classes were created to give participants professional executive coach training that exceeds what are considered the minimum knowledge and skill requirements necessary in this field. We offer four powerful Executive Coaching Master Classes, none of which have prerequisites. The classes total 52 hours of training. You can begin the Executive Coach training with any of the four master classes whenever they are offered. You may take more than one of these classes simultaneously, in any order, and you may begin while still taking Foundations. The Four Master Executive Coach Classes are shown below. For more information, such as class descriptions, teacher bios, or time and date of next offering, click on the links. A basic description for each required course is given below, but you can learn more by looking up the actual course description. Just click on the course title in the chart above or on the Master Classes page. The Coaching Assessments Master Class (8 hours) The Executive Coaching Assessments Master Class will give you an in-depth look at how you can use assessments to create coaching interventions which will deliver measurable results. Assessments are an essential tool for executive coaching and extremely useful in other coaching niches. When choosing executive coaches, organizations often ask the candidate, “What 360 instrument do you use?” “What assessments do you use?” The assessments we cover include two 360 feedback tools, each with a special focus, and a tool that combines the VIA with Gallup research for a unique approach to strengths in the workplace. Students will receive copies of all instruments with detailed instructions on how and when to use them. Small Business and Entrepreneur Coaching (12 hours) The Small Business and Entrepreneur Master Class will focus on teaching you how to attract small business owners and how to work with them to design a strategy for their success. You’ll learn and use a model designed and tested by nationally recognized small business coach, Anne Durand. Well known in the business world, in part for her successful groups for small business owners, Anne also has exceptional first-hand experience as the owner of an award-winning small business–a glass art gallery. Every year over a million people in this country start a business but after a year, 40% have closed. Within 5 years, more than 80% will have failed. Of those remaining small businesses that survived the first five years, 80% will fail in the next five. These alarming statistics point out a vast unmet need for coaching geared to small business owners. You’ll learn about the characteristics of the entrepreneur, the importance of the business plan, the issues small business owners and entrepreneurs must deal with, and much more. Coaching Positive Leaders (8 hours) Business executives and organizational leaders can make a real difference in the world but many of them do not know how to have a positive impact on the employees, companies and organizations they lead. Many have been promoted because they have executed specific work well, but have not developed the capacities needed to be a successful positive leader. We will learn the leadership competencies, skills and techniques that are key to leadership development and what will motivate leaders to create positive change. This interactive class will show you how coaching can maximize the benefits of positive leadership while working with its challenges in a productive way. Students will be encouraged to share their experiences in coaching leaders, and several case studies will be shared so that students can look at best practices for coaching. The instructor and students will share their experiences coaching leaders. And students will learn how to attract and work with executives and other leaders. 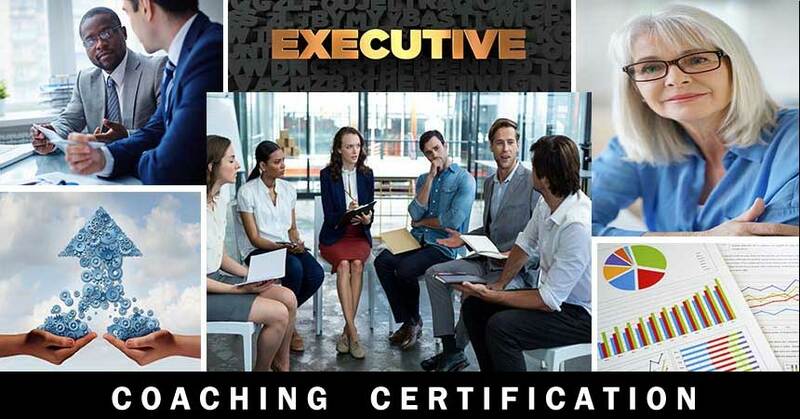 Executive Coaching Master Class (24 hours) This class will give MentorCoach students a working knowledge and understanding of how businesses are organized, how they operate, and where to look for areas where change will bring dynamic results. Ben Dean, PhD, has nothing but praise for our Executive Coaching Master Class. You will learn about organizational designs, the role of boards, stockholders, and senior management; strategic planning; effective performance feedback systems; leadership styles; organizational culture; creating organizational vision and mission; customer surveys; teamwork; downsizing and outplacement; getting work as an executive coach; negotiating your contract; and legal and ethical issues. Anne Durand is a highly experienced and in-demand executive coach who brings both depth and breadth to her executive coaching students.